ISO 50001 certification services in Delhi, Mumbai, Kolkata India. We have marked a distinct place in the industry by providing a high-quality array of ISO 50001 Certification Services. The standard of this certification specifies the requirements for establishing, maintaining, implementing, and improving an energy management system, whose follow a systematic approach in achieving continual improvement of energy performance. ISO 50001:2011 Energy management systems – Requirements with guidance for use is a specification created by the International Organization for Standardization (ISO) for an energy management system. The standard specifies the requirements for establishing, implementing, maintaining and improving an energy management system, whose purpose is to enable an organization to follow a systematic approach in achieving continual improvement of energy performance, including energy efficiency, energy security, energy use and consumption. ISO 50001:2011 Energy management systems – Requirements with guidance for use is a specification created by the International Organization for Standardization (ISO) for an energy management system. The standard specifies the requirements for establishing, implementing, maintaining and improving an energy management system, whose purpose is to enable an organization to follow a systematic approach in achieving continual improvement of energy performance, including energy efficiency, energy security, energy use and consumption. CDG is the world’s leading certification body in relation to energy management system certification having issued the world’s first accredited ISO 50001 certificate in September 2011. The company has operational experience in India and neighbouring countries in the energy sector.With the cost of energy (electricity, gas, oil) rising, proactive energy management is becoming a necessity for most organisations. Add to that the environmental benefits from such a focus, for example the reduction in carbon emissions and the limiting of environmental impact, and it’s easy to see why the new ISO 50001 Energy Management Systems (EnMS) Standard is being welcomed by organisations worldwide. Energy consumption also implies reducing greenhouse gas emissions and demonstrating greater care for natural resources. 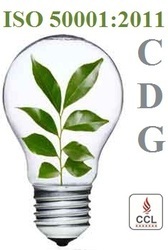 These are tangible actions for companies looking to enforce and contribute to sustainable development.Certification to ISO 50001 and the structured routine assessment provided by CDG will ensure your Energy Management System is maintained and effectively monitored, thereby improving the effectiveness of your energy management system and your processes. Contact CDG Certification Limited today for ISO 50001:2011 (Energy Management System) certification today. CDG Certification is a leading certification body in Sustainable Development schemes, with expertise in environmental preservation and social accountability. We are dedicatedly engaged in offering an optimum quality array of ISO 50001:2011 Certification Services for our esteemed customers. ISO 50001 provides organizations with a structured framework to manage energy such that it can increase energy efficiency and improve energy performance. ISO 50001 provides organizations with a structured framework to manage energy such that it can increase energy efficiency, reduce costs and improve energy performance. It is a standard based on the common elements found in all of ISO's management systems standards, assuring a high level of compatibility with ISO 9001 (quality management) and ISO 14001 (environmental management). 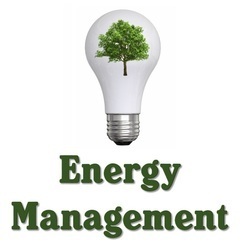 Third party registration of energy management systems (EnMS) provides confidence that energy issues are being managed in accordance with internationally recognised standards and procedures.Effective energy management systems (EnMS) help your organization to establish processes to improve energy performance. Implementation should reduce your energy costs, Greenhouse Gas (GHG) emissions and other environmental impacts.Industrial activities and commercial buildings jointly use about 60% of global energy. Both of these sectors have the potential to significantly improve their energy efficiency—yet current projections suggest that neither is on track to achieve even half their efficiency improvement potential by 2035. CDG’s Energy Management Systems (EnMS) Auditor/Lead Auditor Training Course provides you with the skill and knowledge to conduct and lead effective energy management system (EnMS) audits in accordance with the requirements of ISO 50001 and ISO 19011.Energy management through a well-structured ‘energy management system’ (EnMS) ensures that energy issues are properly taken into consideration in all aspects of the industry’s activities. Energy efficiency in industry is mostly achieved by changing how energy is managed, rather than by installing new technologies. CDG can help your company adhere to an energy management standard by integrating energy efficiency into existing industrial or commercial management systems. ISO 50001 is a voluntary international standard developed by ISO, the International Organization for Standardization. ISO 50001 applies to organisations at any size, and provides requirements for establishing, managing and improving their energy consumption and efficiency. ISO 50001 is designed to implement, establish and maintain a continuous standard of energy reduction. It’s not a piece of software or an outline; it’s a structure which goes right to the heart of the way that your business uses energy. Implementation of this international standard helps organizations reduce their energy consumption and lower their carbon footprint -- making them more competitive and environmentally responsible. This standard specifies requirements applicable to energy use and consumption -- including measurement, documentation, reporting, design and procurement practices for equipment, systems.ISO 50001 is a voluntary international standard that gives organisations of any size a way to systematically optimise energy performance in all processes and promote more efficient energy management. We provide our services from Textiles to Toys, Agriculture to Minerals, Industrial to Electrical & IT, Chemicals to Energy & Fuels and, Food to Pharmaceutical Industries. Is your company interested in incorporating energy management best practices that will lead to sustained savings, continual energy performance improvement, and controlled costs? 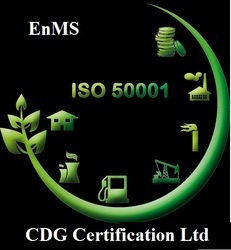 ISO 50001, the newly developed international standard for energy management, Contact CDG Certification Ltd immediately. We are engaged in offering a wide range of ISO 50001 (Energy Management System) Certification Services to our valued patrons. ISO 50001 is the international standard for energy management. It provides an effective framework for making the best use of energy and shaping your organization's commitment to continually improving its energy management. ISO 50001 is the international standard for energy management. It provides an effective framework for making best use of energy and shaping your organisation’s commitment to continually improving its energy management.ISO 50001 stipulates the introduction of an all-inclusive energy policy, which as a rule is the responsibility of top management, and is targeted at identifying significant energy consumers and improving energy performance. Organisations the world over are facing rising energy prices. This comes at a time of increasing competitive pressure that is forcing companies to find new ways to reduce their total overheads.Businesses and consumers alike continue to be subject to fluctuating energy prices. As energy resources become more scarce and costs soar, it is important that your business has operational controls in place to manage energy usage and meet legal obligations in terms of government energy reduction targets . One way to do this is to seek certification to the energy management system standard ISO 50001. Sustainability is the driving social force behind this innovation disruptively unlocking wasted resources, corporate valuations, and will certainly be one of the strongest growing areas in corporate organizations for years to come.ISO 50001 and EN 16001 are the European standard for energy management systems. It is based on a Plan Do Check Act cycle, with requirements for establishing an energy policy with concrete objectives, putting in place actions to reduce and monitor energy use, verifying energy savings and planning improvements. Improving energy performance can provide benefits for an organisation by maximising the use of energy sources and energy related assets. The objective being to reduce both energy costs and consumption. Individual organizations cannot control energy prices, government policies or the global economy, but they can improve the way they manage energy in the here and now. ISO 50001 brings its challenges. This is auditing the full live system, where the auditor will check all the relevant forms system is in use, for example that processes are being followed, forms are being used, etc. ISO 50001 is a voluntary international standard developed by ISO, the International Organization for Standardization and it contains requirements for energy management systems (EnMS). ISO 50001 may help organizations, large and small, in managing and improving their energy consumption and efficiency.ISO 50001 is designed to help companies enhance their use of energy-consuming assets, evaluate and prioritize the implementation of energy-efficient technology, and promote efficiency throughout the supply chain. ISO 50001, the energy management standard, specifically focuses on an organization’s ability to manage their energy sources and energy use. ISO 14001, the environmental management system standard, focuses on the environmental media the organization can affect. ISO 14001 includes energy topics, but does not prescribe detailed specifications for an energy management system. Get more from less with ISO 50001. The energy management standard will give you the tools to improve energy efficiency and lower your energy bills.Effective energy management is a key issue today for the success of any business.